Sailboat racing used to be compared to the excitement of watching paint dry. 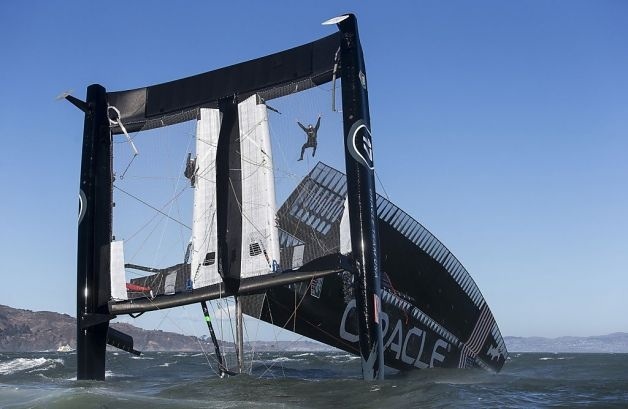 With Oracle’s winning of the last America’s Cup in 2010, that all changed. 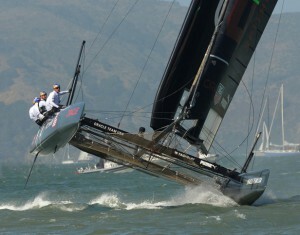 If you have not tuned in I encourage you to do so(www.americascup.com). 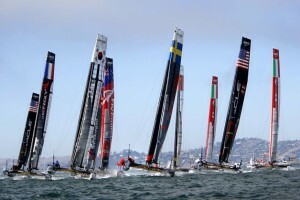 A standard multi-hulled boat was selected, the AC 45′ and an annual World Series was created. 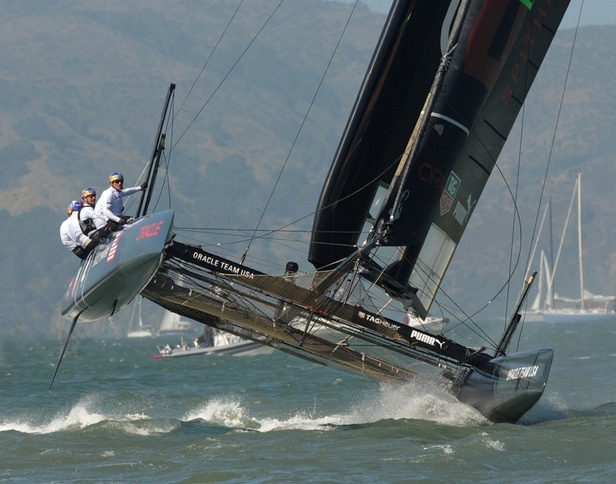 The AC 45′ exceeds 20 nautical miles per hour or 23 mph (1 nmi = 1.15 miles). 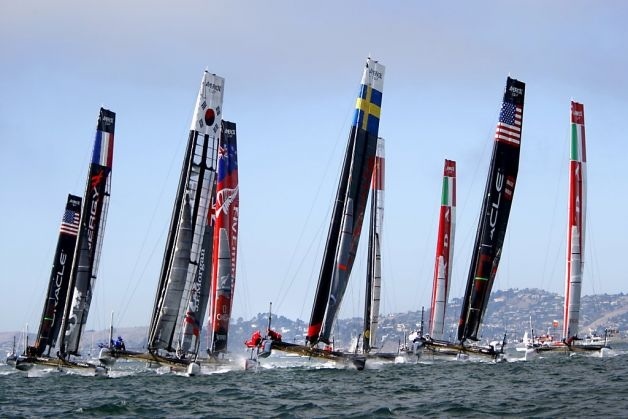 The series has taken place around the world every year since the last America’s Cup creating a lot of excitement and a growing audience for the sport. The T.V presentation is brilliant. Electronics capture the race with lines on the water and feedback from each boat. The boats are equipped with multiple cameras and the crews are miked up and all of the above is available with a free smart phone app. Yes! you can tune into specific crews and listen in to the chaos. The app also gives you the real time positions of the boats. The speeds are incredible and and crashes plentiful. 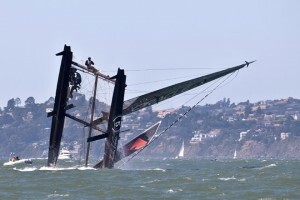 During the last race we watched one of the Oracle boats hit the committee boat on the start, leaving a sizable hole! 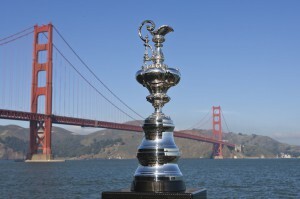 In July the competition begins for the Cup itself. July 4th is opening day and the schedule can be found on the web site indicated above. 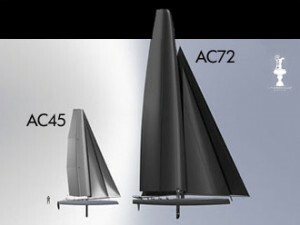 The important thing to note is we are now moving up to the AC 72. Pictured above is Oracle crashing their first boat…..see the crew hanging from the rigging. 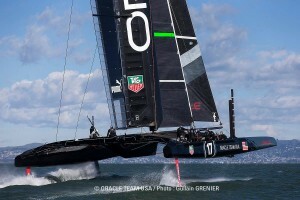 In another photo you will see the 72′ up on its hydrofoil doing in excess of 40 nmi! You can find great coverage on youTube. 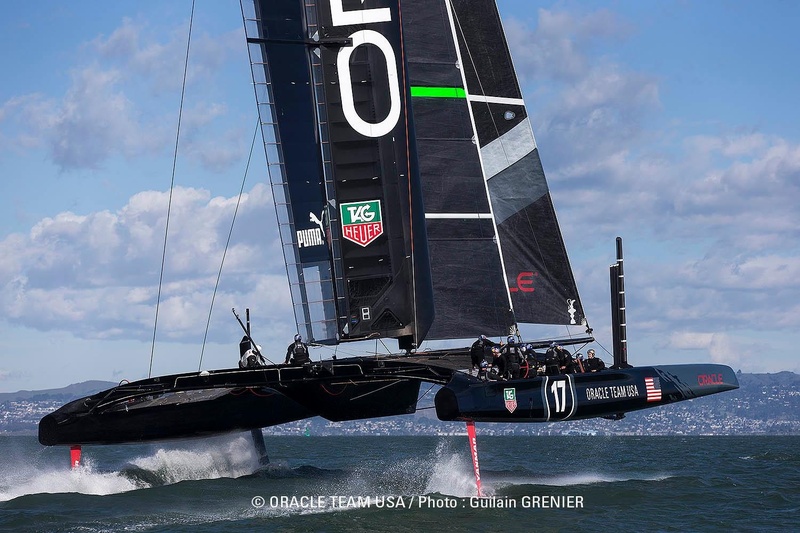 The America’s Cup final series for the Cup begins September 7th and if you can make it to San Francisco the races are visible from the shore, they call it ‘Stadium Style Racing’ and San Francisco is the perfect venue! I call it Nascar of the Sea!’ Sorry the infield is off limits! This entry was posted on April 19, 2013, 12:12 am and is filed under Life Values. You can follow any responses to this entry through RSS 2.0. You can leave a response, or trackback from your own site.